It may not be a celebrity sighting, but for the contemporary art world, may as well be! 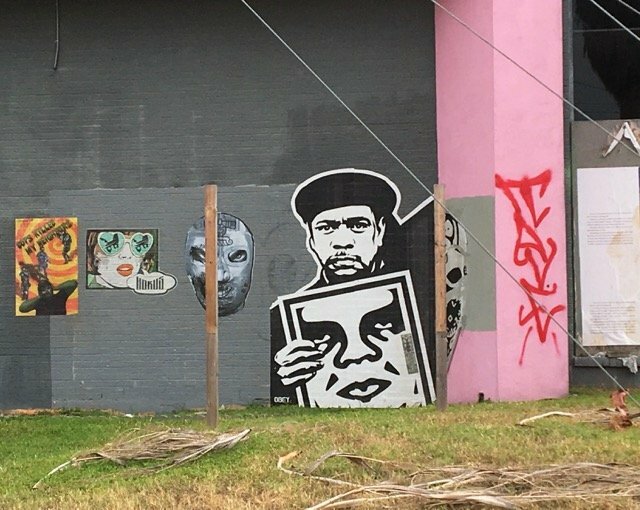 World renown muralist, activist, and street artist, Shephard Fairey left his signature mark on a few left-over buildings in Austin not too long ago. These images are two variations of Fairey’s iconic graphic, OBEY GIANT which has appeared on posters, stickers, murals, and in art galleries all over the world. The artist responsible for Obama’s Hope poster, Fairey also produces commissioned pieces, including building-sized murals. 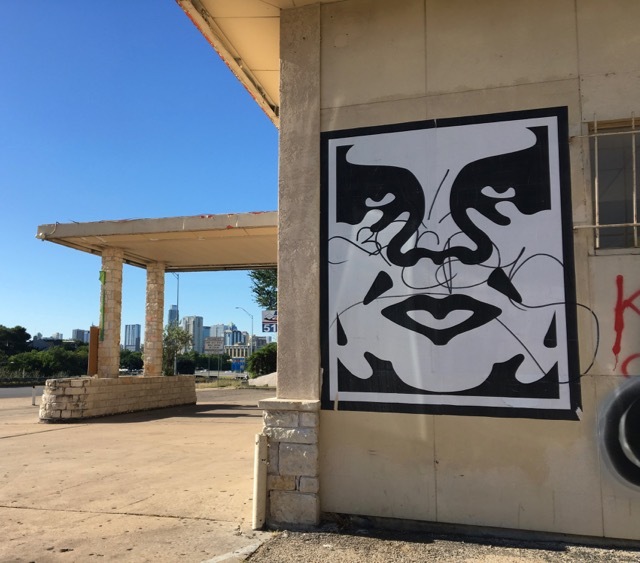 Looking at the artist’s blog, it appears he was in town at the end of December to produce the new Joan Jett mural visible from Congress Ave. Perhaps in his downtime, he also contributed a few OBEY Giant images to Austin’s growing public art scene.